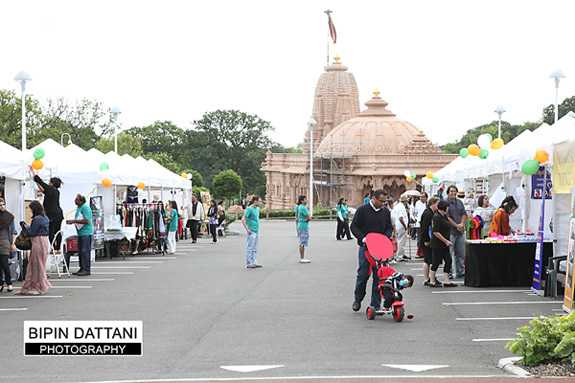 The Oshwal Association of the UK organised a grand Mela at the Oshwal Centre, Potters Bar Hertfordshire on Sunday, 24th July. As a London Asian Wedding Photographer who has photographed numerous weddings here at the Oshwal Centre I took up the opportunity to display my digital wedding albums and portrait photography. It was fantastic to met up with so many couples whose weddings I had photographed, especially at this beautiful wedding venue. This event was so popular that there was traffic going back to the M25! And it was taking over an hour to get into the Oshwal Centre grounds. Not surprising as almost 10000 people took up the opportunity to attended the free event. There was something for the old and there young, fun fair for the young, DJ’s, Mehendi Artists, Wedding Photographers and Videographers, Asian Bridal Dresses, Vegan food, Handmade Wedding Invitation Cards, Dance Classes, Yoga classes, Food Stalls and the Kings Kitchen sponsored the stage for Dhol players, singers and dancers to entertain the attendees. It was a fun and eventful day out for all who attended – some meeting friend after a long time. Vijaybhai, the onsite Indian Priest at the Jain Oshwal Temple, was conducting prays inside the Derasar. These are just a few moments I managed to photograph on this fantastic and busy day, and you can see more on Facebook. Lions Club of Kingsbury with the help of Asian Foundation For Help organised a very successful Mukesh & Rafi Mehfil night at Harrow Leisure Centre, London last Friday. All procceds from the charity evening were for Kakamega Primary School, Kenya. This is a primary school which provides free primary education to children, and as the number of students has increased a great deal, the school requires more classrooms to be built. A great deal of effort was put in by the committee of Lions Club of Kingsbury and other helpers both in Kakamega and here in London to organise and promote this fund raising event. Some 275 tickets (venue limitation) were sold but demand for tickets was so huge that there was a long waiting list of people who wanted to attend. Some former residence of Kakamaga had a chance to meet up after a long time and reminance the good old days, most of them now living in London so they didn’t have to travel too far to Harrow Leisure Centre but great credit has to be given to a former Kakamega resident and his wife who travelled all the way from Manchester, that’s how much commitment for this project. Harrow Wedding Event at Debenhams is coming soon on the 24th & 25th September 2011 for brides and couples who are planning their wedding day in near future. Along with the team from Debenhams helping with stunning wedding dresses, bridesmaid dresses, wedding invitations, wedding stationery there will be other wedding experts from around London – wedding photographers, wedding cake makers, florists, on hand to help you organise and prepare for the big wedding day. 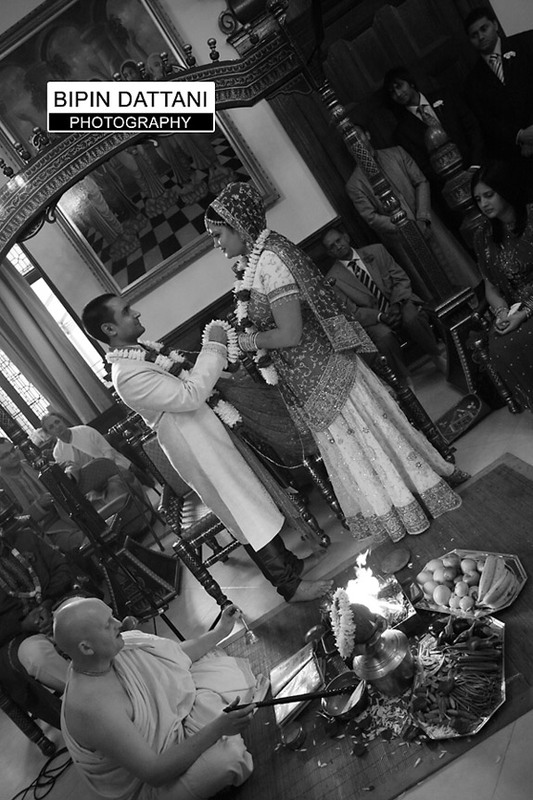 Weddings are one of the most important religious rituals in an hindu person’s life and getting married at Hare Krishna Temple – Bhaktivedanta Manor in Watford, is a perfect venue for this auspicious ceremony. The added bonus of choosing this beautiful wedding venue is that indian wedding marriage and civil or registry can take place in the Hare Krishna Temple. I recently photographed Bindiya and Hemesh’s Hindu wedding ceremony at the Hari Krishna Temple at Bhaktivedanta Manor, Watford. Bindiya was recommended for my Asian wedding photography services by one of her cousin’s, Priya , whose wedding I had photographed a couple of years ago. It is a great honor when a bride is happy with her wedding photographs and albums that she has recommended me to her cousin as well as her friends. So it was great to meet up again with her and so many family members. Contact me on 07930 324833 if you like book me for your Asian Wedding Photography. Indian Wedding Photographer for Meena & Gagan’s wedding and reception at popular asian wedding venue Ramgarhia Hall, Leicester. Having already photographed this lovely couple for their Registry Wedding at Ealing Town Hall, London and the Chunni ceremony in Ruislip, West London. Now their Indian Wedding day date had arrived. Starting at Meena’s home for the bridal getting ready images, we headed to the wedding venue which looked stunning having been decorated with a beautiful mandap set up by Wed-In-Style team in Leicester. No two weddings are identical and I always like to provide the bride and groom with the set of wedding photographs and story book wedding albums that captures essence of their wedding day. I would like to describe my style of wedding photography to be a mix of reportage, candid, photojournalism, capturing your wedding photographs in an unobtrusive manner with a minimum of fuzz so you can enjoy your special day. For the bride and groom’s portraits I will create for you some fantastic posed portraits, taking only a few minutes of your time. 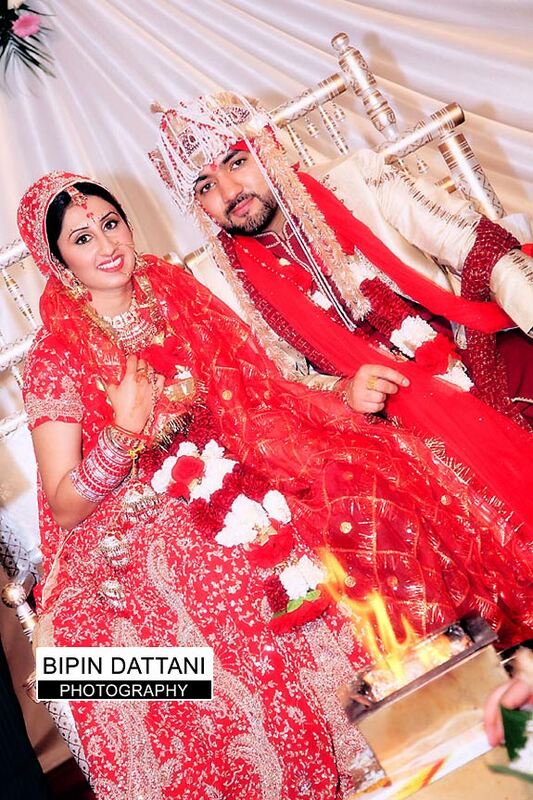 Thank you for choosing me, Bipin Dattani, as your Leicester Indian Wedding Photographer . Some of my favourite photographs from the wedding day can be seen below. These modern wedding photos will keep your memories alive of this day and after a few years, my style of Indian Wedding Photography will bring back fond memories and will always keep the day alive! Contact me on 07930 324833 if you like book me as your wedding photographer.